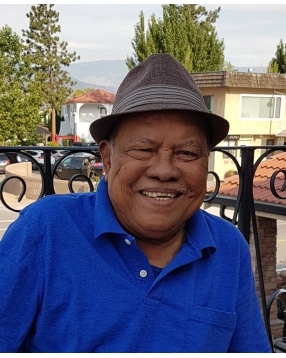 Abelardo “Abe” Javier Nana, 84 of Kissimmee, is gone with the Lord on October 30, 2018. He was a loving, responsible, committed father to his children. He was born in Manila, Philippines the son of Maria and Agustin Nana. He was known as “Abe” to all his friends and relatives. He spent so much time working as an Aeronautical Mechanic at PADC or Philippine Aeronautical Development Corporation in the Philippines. Because of his great accomplishments and hard working records he was delegated to get his professional training in Belgium after his one year of training he was given a special license as a Mechanic and Trainor for PADC. He also worked in Papua, New Guinea for 12 years and migrated to United States in 1989. Abe loved his children so much that he spent his time working abroad to support his big family of 14 Children. He loved being around with them and spend time eating , dancing, watching his favorite tv shows. He enjoyed to go fishing, visiting places and cleaning his yard. Sunday was his special day of devotion to God by watching his show called “Healing of the Eucharist”. He will be missed by his loved ones, his friends and relatives. We love you and we will miss you. May you rest in peace together with your loved ones in Heaven. He was preceded in death by his 1st wife Victoria Nana, 2nd wife Natsuko Nana and common law Aida Nana; parents: Maria and Agustin Nana; brother Salvador Nana; sister Rosario Nana. He is survived by children: Avelina Aquino, Ester Pacrem, Leonora Pagaling, Celso Nana, Florante Nana, Benito Nana, Conchita Nana, Joseph Nana, Victoria Cordero, Adoracion Nana, Orlando Nana, Rebecca Nana and Jun Jun Nana; brother: Ernesto Nana; cousins: Lewey, Virgie, Lydia, Menchie and Linda; nieces, nephews and grandchildren.